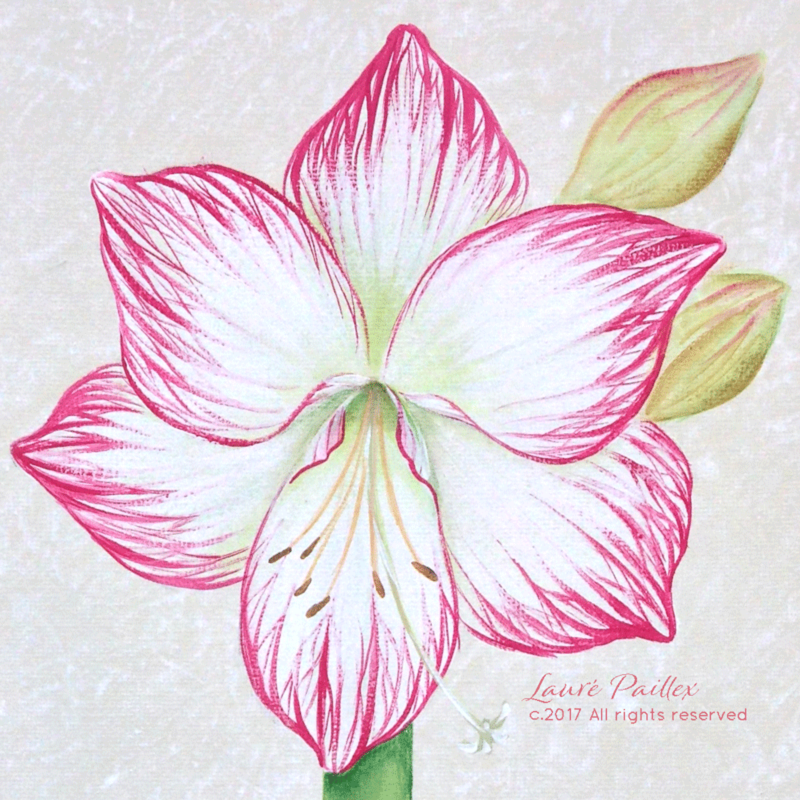 The colorful, exotic blooms of the amaryllis brighten the cold winter days like shining stars. 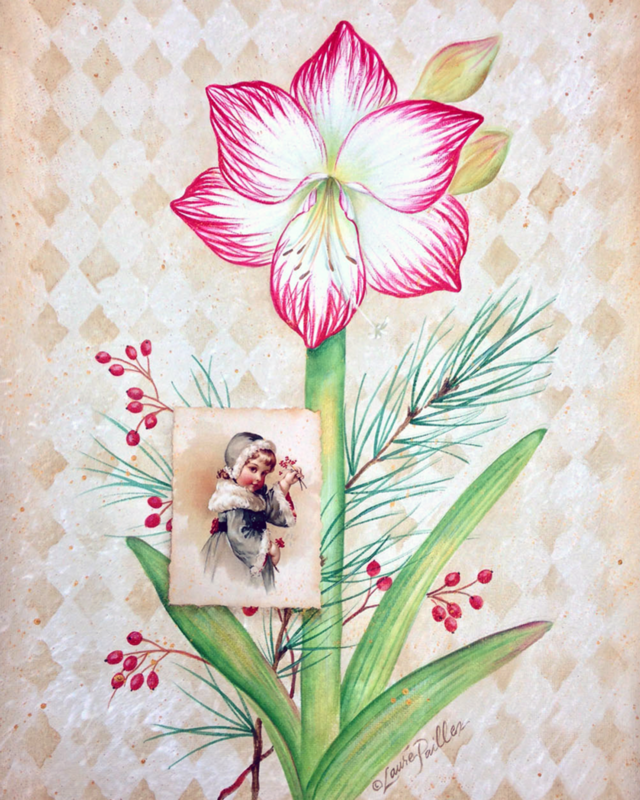 A sweet vintage photo and a stenciled harlequin background add warmth and charm to this mixed media painting. The full color E-packet pattern packet includes two vintage photo prints along with instructions and additional resources. The pattern size (9.25 in. x 16 in.) may be enlarged or reduced to accommodate a variety of surfaces. I've painted it on a canvas banner and a door sled by JB Wood Products. 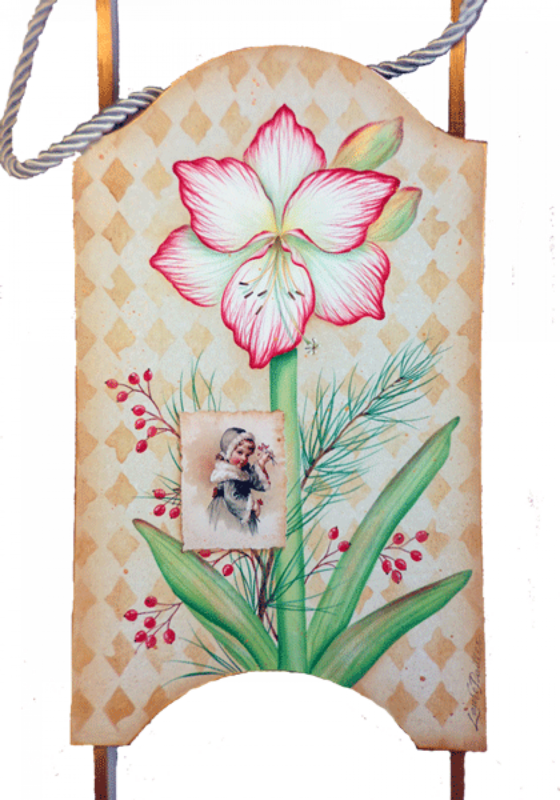 DecoArt Americana Acrylic paints, mediums and Decor Stencil #ADS03 are listed in the instructions. *NOTE: This is a printed paper pattern packet. Postage is included to mailing addresses in US and Canada. Actual postage cost will be added separately to all other addresses.